We’d love your help. 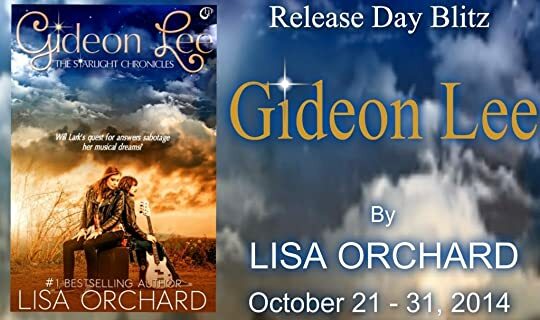 Let us know what’s wrong with this preview of Gideon Lee by Lisa Orchard. To ask other readers questions about Gideon Lee, please sign up. Odd, and probably dumb, question, what is a crisper? I'd initially imagined it as another way to say toaster, as I've heard some people in the south call a toaster oven that here, but there was cheese in it so...? Shelle Perry The crisper usually refers to the drawer(s) in the fridge where veggies are kept. I think I actually liked this book even more the second time. It’s such a short, quick read, and now that I know where everything is heading, I like that I can see all the little clues as to what is going on! 17-year-old Lark wants to be a singer, and she also wants to know who her absent father is, unfortunately neither of those things seem to be coming true anytime soon. Who is Lark’s father? And will Lark ever find out? This was a YA contemporary story, with a little music sprinkled in. Lark was a headstrong girl, who wanted what she wanted, and wasn’t afraid to step on toes to get it. She did fail to think of her mother at times though, and really could have been much more respectful to her mother had she only considered what her mother had had to give up for her. The storyline in this mainly revolved around Lark’s dreams of becoming a singer, and her thirst to find out the identity of her father. She was maybe a little too focused on these issues at times, and I was pleased when she actually caught on to her friend’s strange behaviour. There was just a hint of a potential romance at the end of this story, but it was just a hint. Don’t go into the story expecting romance. The ending to this was very open, and we were left with lots of burning questions. I’m now going to patiently wait for December to come so I can read the next instalment of Lark’s story! Click on Banner to Enter to win a $10 Gift Card! Not quite fitting in, not understood by her mother, seventeen-year-old Lark is struggling with a lack of identity, of feeling inadequate and only her love of music keeps her sane. Her only friends are her bandmates, Steve and Bean, who is her best friend. Never having met her father, having a mother who is only sixteen years older than her, yet acts like an octogenarian, is driving Lark crazy. The Wait is finally OVER! Not quite fitting in, not understood by her mother, seventeen-year-old Lark is struggling with a lack of identity, of feeling inadequate and only her love of music keeps her sane. Her only friends are her bandmates, Steve and Bean, who is her best friend. Never having met her father, having a mother who is only sixteen years older than her, yet acts like an octogenarian, is driving Lark crazy. Why won’t her mother tell her who her father is? Maybe she would feel complete, feel more human! The seeds of rebellion are growing and with an opportunity for her band to make a name for themselves at an upcoming competition, she pushes her mother too far. Will this be the end of her music career before it even gets started? Bean has become distant, is acting strange, but when confronted by Lark, the answers he gives almost bring the rest of her world crumbling down. If not for the new friendship and support of the school’s most popular girl, maybe Lark’s eyes wouldn’t have been opened to the truth of the world around her. Maybe she wouldn’t have realized all that had been given up for her and the pain others are feeling. Maybe she wouldn’t’ have figured out that everything is not always about her. But how can she help Bean? He needs her and she is clueless as to what to do. Lisa Orchard’s Gideon Lee is a tale of the coming of age of one young girl who is forced to stare life in the eyes and learn that her life is what she makes it. The inner monologue from Lark is priceless, painful and filled with every emotion, creating a chaotic storm that is threatening to overwhelm her. How sad that this angst-filled teen is so common in today’s society, too old to need constant supervision, too young to understand how to take care of herself in a world that will never be perfect. Well written, with a true feeling of coming from the heart and mind of a teen, Ms. Orchard has created a world that is easily identifiable for all ages. Expected Publication Date: October 21, 2014. Gideon Lee was an okay read, but it dragged in areas. Lark wasn't an awful character, but she had annoying moments and could be quite strange, so i couldn't warm to her enough to like her. The other character were alright, but again, i didn't warm to them enough to like them. The pacing in this was quite slow, so i felt bored at times. If a few things had moved along a bit faster then i probably would have enjoyed this book more. I think Gideon Lee is one light-easy reading that I can devour in one sitting. Unfortunately it wasn’t as enjoyable as I thought. I don’t know whether I read it in a wrong time or if it just wasn’t for me, but it was quite hard for me to connect to the story. I mostly bored and couldn’t feel the feeling that Lark feel along the story through her POV. She’s sarcastic and full of anger. She often angry to her mother; has dislike to her neighbor; and has prejudice to her friends. I usually don’t mind with sarcastic characters, most of the time I like them, actually. It is Lark anger and dislike that I just couldn’t get. She has bad thought of Cassie, the most popular girl in her school, just because she’s gorgeous and the captain of cheerleader. When she describes how she dislikes Cassie, I was wondering what she did to her which caused her dislike. I kept waiting and waiting and waiting her reason, but I didn’t get it, unless I missed something in the story. At the same time, in a way, I got to know her better along the story. And apparently she’s just being stereotype, I think. Now I’m not sure whether it’s a good or bad thing to her as a character. Scratch that, I think it’s a good thing because it shows her development as a character in the story. She also has a not-so-good relationship with her mom. And again I didn’t get what caused her anger all the time to her mom. Before I read this book, I didn’t have any idea who Gideon Lee is but one thing clear in my mind that he must have a big part in the story as it is this book’s title. Apparently he is Lark’s idol. She admires him more than anything. She even writes a story about him for her history class essay which left her wondering whether her teacher will accept it or not. That how big her love for him. But I didn’t get more description why she loves him so very much, rather than just he’s a good musician. I mean, I want to know what it is that makes him so special, different from other member in his band that deserves her love. I guess I want her reasons which she didn’t provide me. And I didn’t get to know more about Gideon Lee either, aside that he’s a guitarist of North Star, her and her mom’s favorite band. However, I also have thing that I liked from Lark. I really liked how determine she is to achieve her dream, to the point that she faithfully brushes her teeth three times a day because every musician knows her pearly whites are important to her image. It’s her band and her songs that are mostly in her mind, though for me it seems too easy for her to compose the lyrics. It always comes to her easily and every lyric sounds great. She also knows how to achieve her dream and willing to do anything to make it come true. Basically she’s a girl who knows what she wants and sticks for it, doesn’t matter what people say to her. All in all, I think this is an okay book I’ll read the sequels for sure since there are things that still left unclear. Lark Singer is a 17-year-old high school student. She lives with her mother, Francine, who she has a strained relationship with. Lark is a good student but her passion is her music. She's a singer and guitarist in a band with 2 of her friends, Stevie and Bean. Lark and Bean have been close friends for 8 years and have always told each other everything. However, now Bean is keeping secrets and Lark is worried. He is her only ally with things A gifted copy was provided for an honest review. Lark and Bean have been close friends for 8 years and have always told each other everything. However, now Bean is keeping secrets and Lark is worried. He is her only ally with things being bad at home and now she can't count on him. Lark is trying to focus on her music and an upcoming music competition that her band is entering. She believes this is her ticket out of living on the wrong side of the tracks in a "shithole town." But what if Bean's secrets jeopardize the band's chances and Lark's chance at a better future? I really enjoyed this coming of age story and look forward to reading more in this series. I really like Lark and am interested in finding out how things turn out for her in the future. This book is really well written and easy to follow. I definitely recommend this book to anyone who enjoys YA genre. The cover is very mesmerizing, I love how Lark first seems here! A very interesting start to the series, I liked how close Bean and Lark were and how easy going their relationship was. Unfortunately, the same thing cannot be said about Lark's relationship with her mother, it seemed more like a battle zone to me than anything else. Ms. Orchard has created a character that pulls you in to the life of Lark. Wanting to know if she makes it in life. Does life get better? Does music change her forever? This is a new series that surely will be one to hold on to until the very end. Gideon Lee was a quick read. I liked the characters in the book. Lark's love of music was fun to read, though it was almost an obsession to her as though she needed to be playing/composing to feel alive. I felt bad that Lark has grown up not knowing the identity of her father. (view spoiler)[The mystery of her father is one I hope to find out in the next book, or at least by the end of the series, since it's not revealed in this book (hide spoiler)] If the description of this book interests you, Gideon Lee was a quick read. I liked the characters in the book. Lark's love of music was fun to read, though it was almost an obsession to her as though she needed to be playing/composing to feel alive. I felt bad that Lark has grown up not knowing the identity of her father. (view spoiler)[The mystery of her father is one I hope to find out in the next book, or at least by the end of the series, since it's not revealed in this book (hide spoiler)] If the description of this book interests you, I say give it a read. This is a great read. It is a YA contemporary story with music infused to it. I love the MC. 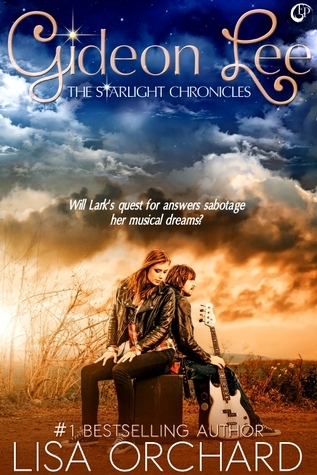 Lark Singer is a strong willed girl with the hopes of one day becoming a rock star and finding her biological father. I feel like she should be more herself even if she has scars. I thought the story was great. The secondary characters were great as well. Also, I thought the ending was open and I thought that the end I received a copy from the author, in exchange for an honest review. This was a very easy read that kept me interested in the characters and asking questions that I wanted to know the answers to. Lark is a musically gifted teenager who deals with the typical social, emotional, and physical challenges and shares her journey into her future. Her friendship with Bean hooked me emotionally and I continued to root for them until the end. It ended in such a manner that left me wanting more and I look forward to hearing more from these characters in the future. This book made a nice change as there was no instant love. Gideon Lee was a quick and heartbreaking, but hopeful read. I know those are two kind of conflicting sentiments. The story had grit, friendship, family, difficult circumstances, the hierarchy of high school... 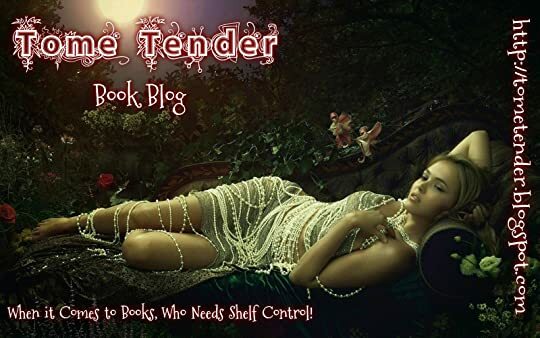 This is the first book in this series and there definitely was that feeling of getting to know these characters and the plot being developed, but it felt fairly flawless and smooth as a reader being invited into Lark's world. The main character, Lark, was definitely an angsty (I know that's not an official word, but it should be in ya literature) teen. She really didn't get along with her mother who she calls by her first name, Francine. It was such a tough relationship to read about, especially as a mother myself. Both of them were so blind in so many ways and it was a little frustrating and sad. At the same time, I could see where they were each coming from and how the tension and animosity had built up over all these years. It was also difficult to see the signs with Lark's best friend, Bean. That really, really broke my heart. The denial. The lying. The fact that Lark doesn't want to see it and so she won't be honest about it with Bean. So tough! I'm sure this will really come to a head as the series develops. Thank goodness Lark had Cassie. I would have liked to have seen more develop with Cassie and with the story overall. I'm hoping we'll get more of that and Cassie in the future. I would say that I would also have liked more explanation behind Gideon Lee, which Lark writes a school paper on in the beginning of the book, especially with him also being the title of the book. It would have been cool if his persona would have been worked into the story more or maybe some lyrics or something from him. I ended up really enjoying Gideon Lee. There were choices that Lark had to make and work through, or I should say, begin to work through. The ending left a lot to be resolved and I can already tell that the rest of the series is going to be a difficult and painful journey for Lark. I'm hoping it will also be a journey of discovery and love for her, her mom, and Bean. Hopefully they will come to terms with things, find themselves, and it will all end in a good place. I'm definitely planning on seeing where this series will be going. Content: Some swearing and drug references. For me , this book left me in two mindsets as I loved the cover and the blurb and I got hooked into the story as we wonder who Gideon Lee is to the main character Lark. We are first introduced to the name "Gideon Lee" when Lark is asked in school to write an essay in History about someone who has made an impact and influenced during History. Later we discover that Lark is a musician herself which made me smile as I loved how the author called her Lark and connected the idea of musician and singi For me , this book left me in two mindsets as I loved the cover and the blurb and I got hooked into the story as we wonder who Gideon Lee is to the main character Lark. We are first introduced to the name "Gideon Lee" when Lark is asked in school to write an essay in History about someone who has made an impact and influenced during History. Later we discover that Lark is a musician herself which made me smile as I loved how the author called her Lark and connected the idea of musician and singing bird together. As the story goes on we are introduced to Lark's friend and bandmate Brian and learn that Brian's older brother has been done for drugs and soon Brian starts exhibiting the same symptoms and we wonder if he's doing drugs too , though it isn't really talked about and only touched briefly as a suspicion. While grounded , Lark's mother takes away her guitar and Lark searches the house to find it only to discover a box filled with old memories of Lark's mother. Is there clues to who her father is , inside the box ? This made me question whether Gideon Lee could be more to Lark than just an idol and someone she adores and looks up to. Now get's to the part which hinders this book from getting a 5P review . I was so hooked into the book and then one minute I was reading a page and the next it was OVER. I even had to flick back a few pages to make sure what I had read was correct as to me it finished almost half sentence and I was left with so many unanswered questions. So readers, if you are wanting a book that doesn't end in a major cliffie then this isn't the time for you to read this series, I would wait till the rest of the books are out. I felt a little let down by the ending , as the book had huge potential to go places but then again, I am such an ending person - so to me the ending is probably the most important part of a book to me. This is a story that will leave you wondering many things. first I feel for bean more than I do Lark. Bean is struggling with many things and his fear of disappointing and losing Lark is big on that list. He really really likes her but is on a spiral. Lark is ignoring the signs not because she is selfish but out of fear. Fear of losing Bean. the question is will this secret of bean's destroy everything going for them or will Lark face it and confront Bean. will she help Bean through it all? I ho This is a story that will leave you wondering many things. first I feel for bean more than I do Lark. Bean is struggling with many things and his fear of disappointing and losing Lark is big on that list. He really really likes her but is on a spiral. Lark is ignoring the signs not because she is selfish but out of fear. Fear of losing Bean. the question is will this secret of bean's destroy everything going for them or will Lark face it and confront Bean. will she help Bean through it all? I hope so and that has you want to read the next book. As for Lark and her mom that is complex. there is a reason for the tension and we aren't given the whole picture. We do see that both are selfish in their own way. Lark is selfish because she isn't thinking of others at least this is the case until she has a new friend come into the picture that has her reevaluate herself. Her mom because she is trying to keep herself from feeling things and not seeing the effect it has on her daughter. the look at Gideon Lee at the beginning is intriguing but we don't go any farther. Hopefully this will be answered in the next book because we only get glimpses and are left to wonder. The book is good but I think would be great if Lisa Orchard delved more into a few things. Such as Bean and his issues. The drug angle with Bean needed to be explored more. Also the feelings between Bean and Lark needed more development. It is a sweet romance that has begun but more is needed. Lark and her mom's tension could be delved into more as well. Troubled teen. Mother by first name only. Fatherless. Very few friends. Talented. Committed to her passion. Committed to her love of music. This is Lark’s world. This is Lark’s story. She lives a life of stressful situations. School cliques that she is not a member of. But what is close to her heart is her Gibson guitar, Stevie and especially Bean. Her partners in the realm of music. Music is what they make when life appears rough. Music makes the troubles disappear, even if only for a few momen Troubled teen. Mother by first name only. Fatherless. Very few friends. Talented. Committed to her passion. Committed to her love of music. This is Lark’s world. This is Lark’s story. She lives a life of stressful situations. School cliques that she is not a member of. But what is close to her heart is her Gibson guitar, Stevie and especially Bean. Her partners in the realm of music. Music is what they make when life appears rough. Music makes the troubles disappear, even if only for a few moments. With each page there are secrets. Secrets being held strongly by characters that are bound to never let them go. Lark is determined to find out about the identity of her father and find out what is truly troubling her close friend Bean. With all that is going on, the tight group sticks together, preparing to play their music for all to hear. Gideon Lee is a story about identity and discovery. Author Lisa Orchard creates a story that is filled with mystery, along with hints of pure emotion. The writing is descriptive throughout. Although I understand why Gideon Lee is important to the main character Lark, I must admit, that his role as the overall title was a bit misleading. I hoped that there would be more storyline regarding him. Maybe there will be more of a connection in the next novel of the series. What a wonderful breath of fresh air from the author of the Super Spies! I’ve read other books of Lisa Orchard’s, so I feel confident in saying this is by far the best piece of writing I’ve read from her. The quality and strength of this new voice is such a great leap forward, I forgot all about the author and concentrated solely on the story. This is talent. This is an author who has fallen into the right groove. Gideon Lee is a mystery, just like other stories by this author, and in this this f What a wonderful breath of fresh air from the author of the Super Spies! I’ve read other books of Lisa Orchard’s, so I feel confident in saying this is by far the best piece of writing I’ve read from her. The quality and strength of this new voice is such a great leap forward, I forgot all about the author and concentrated solely on the story. This is talent. This is an author who has fallen into the right groove. Gideon Lee is a mystery, just like other stories by this author, and in this this first book of the series we don’t figure out the puzzle, not entirely. Lark, the protagonist, is a character with whom I could identify easily, someone who felt every knock of her hard life, someone whose existence could be real. She has been beautifully portrayed. Lark’s struggle to understand the world around her, her anger at the realities of life, and general treatment of teenage angst are done with a light hand, intuitive appreciation, and high mastery of the writing craft. To me, Lisa Orchard has arrived. Just like other commenters, I did find the ending of this installment a little abrupt, but I don’t mind it, somehow. I do feel the hope that’s filling Lark’s heart fill mine too. I can wait – just about – for the next one in the series. Lark Singer is content living in her world of music and always is working on new lyrics to sing with her little band of three. Living with her single mom in a rundown part of town, jamming out with her friends in her garage every chance she can get, and surviving the politics of high school she is counting down the days to graduation and the day she can get out of there. The only thing that is more important than graduating is the musical competition that could help her start her career. Unfortu Lark Singer is content living in her world of music and always is working on new lyrics to sing with her little band of three. Living with her single mom in a rundown part of town, jamming out with her friends in her garage every chance she can get, and surviving the politics of high school she is counting down the days to graduation and the day she can get out of there. The only thing that is more important than graduating is the musical competition that could help her start her career. Unfortunately, life isn’t going how Lark wants and she’s starting to see that things aren’t always as they seem. Her best friend, Bean is starting to act strangely and she’s no longer content not know who her father is, but is right now the best time to start questioning everything? This is the first book in the series and you really should continue on to the second and third book. The book doesn’t have a real ending and just continues on into the second. Gideon Lee is a little bit slower that the other two books, but it’s more of an introductory into Lark’s character and her life. It was a little harder for me to get into, but by the time I got to the end and went straight into the second book I was enjoying the story immensely. It could very well have been the diary of a young woman trying to figure out life and realize that there are other people around you, if you only take the time to open your eyes and open up. This was an okay read about a heroine who has issues but who wants to pursue her career in music. The story line was almost dragging throughout the whole book. I couldn't get into th story that much especially concerning Lark's attitude. Her character is just something I couldn't like. She was very difficult but it's expected with her age but like I said I couldn't get into her character. There's also how she has a difficult relationship mostly with everyone especially her mother except her bandm This was an okay read about a heroine who has issues but who wants to pursue her career in music. The story line was almost dragging throughout the whole book. I couldn't get into th story that much especially concerning Lark's attitude. Her character is just something I couldn't like. She was very difficult but it's expected with her age but like I said I couldn't get into her character. There's also how she has a difficult relationship mostly with everyone especially her mother except her bandmates. I wonder if she ever understood why her mother kept her father's identity a secret. It wasn't elaborated at the same time I do understand where she's coming from. I actually felt bad for her mother and like her I wondered why she kept it a secret. There's most likely a reason for it but I wonder when her mother will ever tell her. Lark doesn't change much which was very annoying for me but somewhere really near the end she has an idea about herself. Sadly, I was hoping for a romance but it's practically non existent although there's an inkling about it. But I'm curious enough to read the next books in this series. Lark comes from a single parent home. She's never known her father because her mother won't talk about him. Mostly, Lark shrugs her shoulder at it all and depends on her music to carry her away. Lark is a good student and fantastic at the guitar. Her guitar is her life. Of course she has friends, but very few. Now that she's a senior in high school, she wants to know about her father. If only she can get her mother to open up about him. Lark's life is changing and she's decided her father shoul Lark comes from a single parent home. She's never known her father because her mother won't talk about him. Mostly, Lark shrugs her shoulder at it all and depends on her music to carry her away. Lark is a good student and fantastic at the guitar. Her guitar is her life. Of course she has friends, but very few. Now that she's a senior in high school, she wants to know about her father. If only she can get her mother to open up about him. Lark's life is changing and she's decided her father should be part of it all. I felt I knew Lark when I began reading this book. She reminded me of a couple of kids I went to school with. The writing is outstanding and all the characters fit right in. I felt each of Lark's emotions. It was so easy to get wrapped up in this book. This one is an easy read and those who enjoy the YA genre, this is perfect for you. I highly recommend Ms Orchard's book. The story has a lot of mystery and suspense with the characters. They give you a small look into them and then will turn on different path then you thought they were going on. We meet Lark who has been knock down time after time in her life and trying so hard to get pass those bumps in the road. We get look into the angst that teenagers are feeling in their everyday life. Meet other characters that have slowly coming together playing music. There are many questions that still need to be answer a The story has a lot of mystery and suspense with the characters. They give you a small look into them and then will turn on different path then you thought they were going on. We meet Lark who has been knock down time after time in her life and trying so hard to get pass those bumps in the road. We get look into the angst that teenagers are feeling in their everyday life. Meet other characters that have slowly coming together playing music. There are many questions that still need to be answer about what they are all going to do when the band together. The story does end on a cliffhanger and can’t wait for the next book to see where Lark, Bean, Stevie and Gideon go. Will all the secrets be revealed that has keep us in suspense Recommend this book. Lark, the main character in this story is a bit self involved throughout most of the book, and although I didn't dislike her, there were times when I found it hard to relate to her. She is guarded and a lot of the time seems to be on the offensive. Whilst the main character's quest to succeed as a singer is a central focus in the story, it is equally about her desire to find out the identity of her father. There are a lot of unanswered questions by the end of the story, so readers will definitel Lark, the main character in this story is a bit self involved throughout most of the book, and although I didn't dislike her, there were times when I found it hard to relate to her. She is guarded and a lot of the time seems to be on the offensive. Whilst the main character's quest to succeed as a singer is a central focus in the story, it is equally about her desire to find out the identity of her father. There are a lot of unanswered questions by the end of the story, so readers will definitely want to keep an eye out for the next volume in this story. For being YA fiction, I liked that there were some serious issues in this story, but felt that they could have been expanded on a bit more to make the characters feel more realistic. I felt as if we were only getting part of their personality. Overall I thought this was an interesting beginning and look forward to seeing where the story goes. Lark Singer is trying to get through high school successfully while getting ready to compete in a music competition with her band. One of her hurdles is her mother, especially when she begins to ask questions about her birth father. Then her best friend and bandmate, Bean, is acting very strange lately and he isn't telling Lark what is going on. When did life get so difficult? I enjoyed this first book in seeing all the dynamics of the relationships that Lark has with other people around her. I lik Lark Singer is trying to get through high school successfully while getting ready to compete in a music competition with her band. One of her hurdles is her mother, especially when she begins to ask questions about her birth father. I enjoyed this first book in seeing all the dynamics of the relationships that Lark has with other people around her. I like that she perceives herself one way and then it begins to change due to an unlikely relationship that forms in the book. I'm really interested in seeing how the relationship with her mother is going to go as Lark begins to ask even more questions about her dad. Lark knows what she wants from life and has the determination and the drive to achieve it. Lark wants to make it big in the music world with her band. However Lark soon comes to realise that she can't control everything and that outside influences can get in the way. A great introduction to this coming of age series. With the emotions of growing up along with the challenges of parental relationships and others and other influences like drugs, all have the potential to derail her plans or dive her forward. It was full of that teenage angst that doesn't seem important once you've survived it but at the time it was all end of the world stuff. The relationships between the characters were interesting and changing as the characters developed and changed themselves. This is a series that I will be coming back to for more. so what happens when your best friend and mom are both keeping secrets . best friend whom you have told everything to now is hiding something but what . and your mom hiding the fact you don't know who your father is . and why is one of the cool kids seeing you and why . is it because they want to be or because they feel sorry for you . and what would it mean if you lost your music time . and lost the band due to reasons you still need to find out . stay tuned for more Starlight . While reading Gideon Lee I felt like I had been transported back in time to my high school days. I enjoyed reading about Lark, her friends, mother and her life. Some parts were a little dragging but overall I think it flowed pretty well and the storyline was pretty much how teenage life might be for some. I really can't wait to read more.